You know the expression, “The person on top of the mountain didn’t fall there”? It’s true – whether you’re climbing the corporate ladder or making your way to an assistant manager position at the corner store, you have committed to a career development path. When employees win, businesses win. Training and career development are key elements for growth and progress for any one person, and that mushrooms into success for the business. Training and Career Development – What’s the Difference? While training and career development depend on each other, they are two different elements of success. 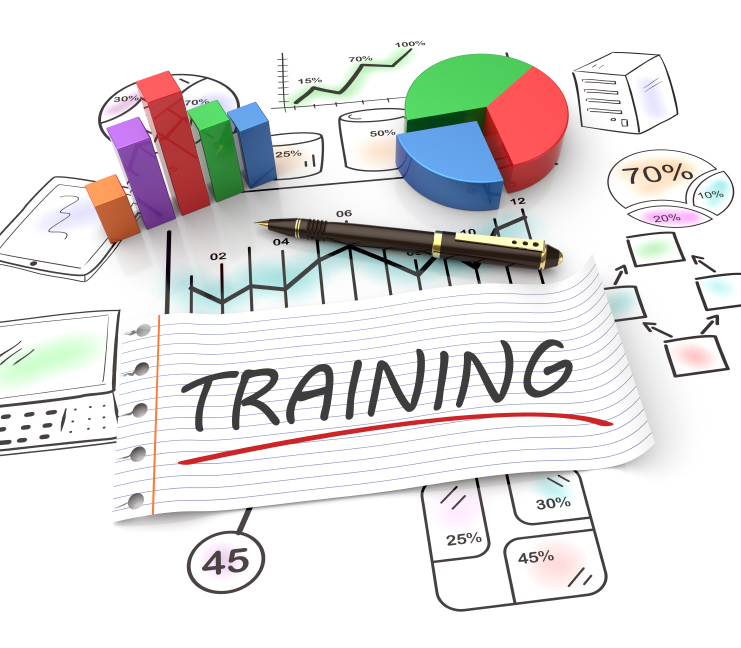 Training is the process of acquiring the essential skills required for a certain job. It targets specific goals, such as understanding a process or operating a certain system. Career development, on the other hand, puts emphasis on longer term goals and broader skill sets, including decision making, creative thinking, and managing people. One thing training and career development should have in common is a consistent message. Consistency is key when it comes to a business or organization’s policies and procedures. When employees are provided with consistent and standard methods for performing their duties – they are able to maintain a higher level of uniformity in job performance. Employees are more committed to customer satisfaction when they’re confident in their skill sets. That confidence comes from formal training and daily mentoring. The impact goes far beyond each shift. Well-trained employees on a career development path are aware of how their roles and responsibilities improve the success of the company. This, in turn, leads to improved customer service and a decline in the detrimental “that’s not my job” mentality. The result is always superior service. Training and development promotes a sense of pride and a feeling of belonging among employees, resulting in a higher standard of overall performance. The ability of your employees to confidently execute their daily tasks helps them feel satisfied and proud of the role they play in your organization. Most employees have weaknesses in the workplace that inhibit them from providing the best service. Training eliminates – or at least mitigates – those weaknesses by strengthening employee skills. A well-organized and executed training and development plan helps employees gain comparable skills and knowledge, bringing your staff as a whole to a higher uniform level. Simply put, the whole workforce is reliable, improving teamwork and morale. Through training and development, employees acquire all the knowledge and skills needed to execute their daily tasks, helping them perform at a faster more efficient pace and increasing the overall productivity of the company. Training on a career development path empowers employees to be more self-reliant, requiring less guidance. Managers and supervisors are able to depend on employees to make sensible decisions and provide valuable output, freeing up management time for bigger pictures goals. Your ROI from training and career development is two-fold. First, customer service and productivity improve. Second, your employees are happier and turnover decreases. Both have a positive affect on your bottom line. As your partner in training and learning management, we pride ourselves on creating and delivering industry specific and highly relevant training programs. We design and deliver training for any industry, and have three complete online training suites for specific industries. Ready Convenience is our flagship brand providing training to the convenience store industry. Next, is Service That Sells! training for restaurants. Our most recently launched brand is Sunrise Basic Training, which offers comprehensive training for the hospitality and lodging industry.